Kara is thrilled to be part of an organization so committed to transforming Portland into one of the most livable communities in the country. She has been the Executive Director of Portland Trails since 2012, and has used the trail network as a runner, cyclist, commuter, dog-owner, skier, and self proclaimed “nature nerd” for 15 years. For 10 years, Kara was the Education Director at Maine Audubon, overseeing all education initiatives of the state’s largest Conservation and Education organization. 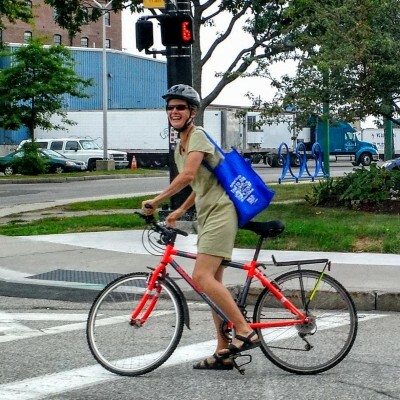 She has also been an adjunct faculty member at Bowdoin College for 8 years in the Environmental Studies Program, helping students learn how to engage children and adults in activities that build healthy and sustainable communities. Kara serves on numerous state, regional and national boards and committees focused on increasing environmental literacy.